Home / Fish / Where Is The Volcano Goby Hiding? 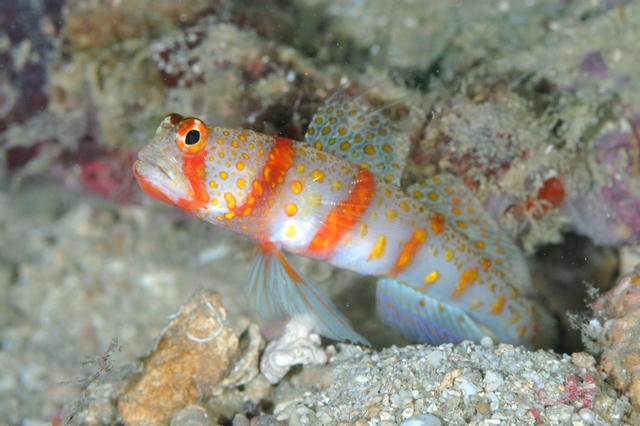 Somewhere right now in the Coral Triangle, the Volcano Goby (Amblyeleotris rhyax) is going about its business, clandestinely poking its head out from the burrow of a pistol shrimp. It’s doing this in the Philippines, in Palau, on the Great Barrier Reef and across Indonesia. 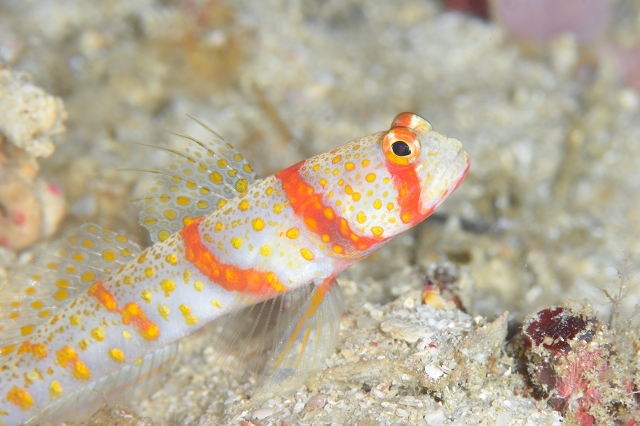 Of course, plenty of other shrimpgobies are doing precisely this same thing right now, but there is a mystery to the Volcano Goby that makes it worthy of discussion. 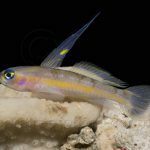 Out of the dozens of shrimpgobies (Amblyeleotris, Cryptocentrus, Stonogobiops, etc) scattered across the Indo-Pacific, one could make a very strong argument that A. rhyax is the single most beautiful member of the group. 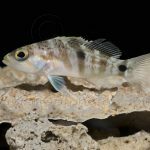 But despite its broad occurrence in regions that see heavy collecting for the aquarium trade, this highly desirable species is almost never collected. This is surely a fish that would sell for quite a bit of money (relatively speaking, for a goby) if it were to be made available, yet it continues to elude us. Why? The literature on this fish provides us with only scant details concerning its ecology and life history. It was originally described in 1979 from the island of New Britain off the northeastern coast of New Guinea. The reported depth was 35 meters and the habitat was described as a “sand gully amongst coral”. More specimens were encountered, both here and at Cebu in the Philippines, at similar depths, from the “rubble near [a] cave” and from a “rubble slope”. In many ways, this is standard shrimpgoby behavior. Most species occur in sandy or rubbly substrates that are in close proximity to coral reefs. Some occur more often in silty lagoons, others in clear outer reefs… most can be found quite shallowly, but others, like A. rhyax, are restricted to deeper habitats. 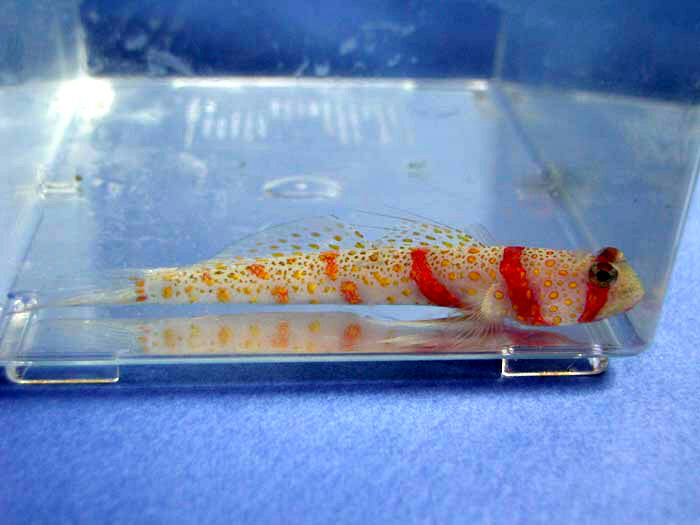 But the depth at which the Volcano Goby is found does not entirely explain the mystery of why it is so rare in captivity. 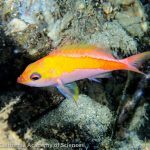 Deeper water fishes are regularly available these days in groups like Pseudanthias and Cirrhilabrus, so it’s not as if collectors are unable to reach it. 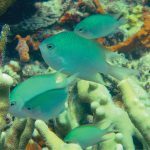 Now, it’s possible that this fish has simply not been targeted due to it being perceived as less-valuable than some of the other species found alongside it. 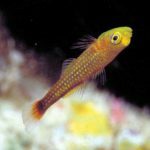 But consider Randall’s Goby (Amblyeleotris randalli), one of the most ubiquitous members of its genus within the aquarium trade. It too favors deeper waters (15-48 meters) in the West Pacific and is said to inhabit burrows hidden beneath ledges on steep outer reef slopes. 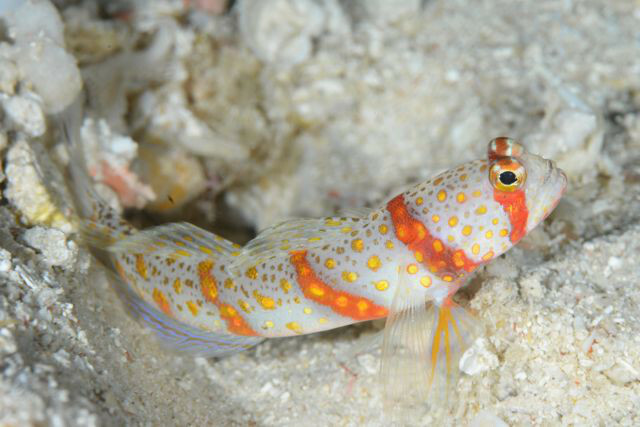 This is essentially the same reported habitat as the Volcano Goby, and, yet, there is no shortage of A. randalli.